Whether you’re looking to boost your fitness, your bank balance, or you’re considering cycling as an environmental choice, you won’t look back! We had a chat with Isabelle about how she gets the most out of riding a bike in London. How long have you been cycling in London? Since I moved here last year in August. I cycled a lot before moving to London, thought it a good habit and wanted to stick to it. Cycling makes me arrive fully energised at work – bye bye grumpy mornings. I also enjoy not being crammed in the morning tube. And you’d be surprised how often travelling by bicycle is faster than by public transport. I live in the North West of London, and I’d say that my cycle area is roughly bordered by the Barbican on the east side, Hampstead Heath in the north, Westminster in the south and Notting Hill in the west. But whenever I can be faster by bicycle than by public transport, and/or whenever the sun is out, I jump on my bike. What would you say to women considering cycling in London? 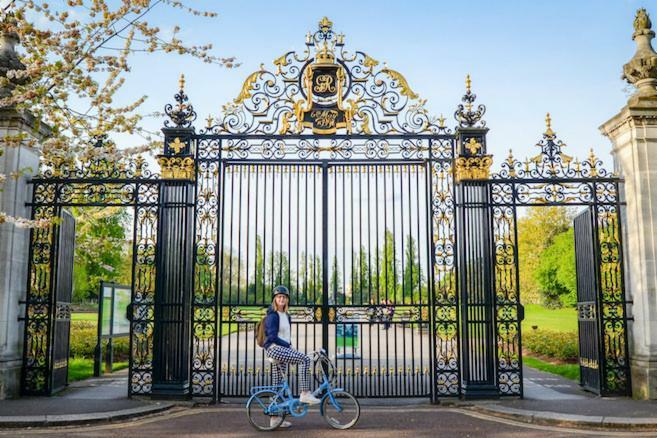 Not only to women, but to everyone: when you are completely new to cycling in London, try it in your area, gradually expand your route to less familiar roads and see if you like it. If it starts growing on you, make sure to be seen. 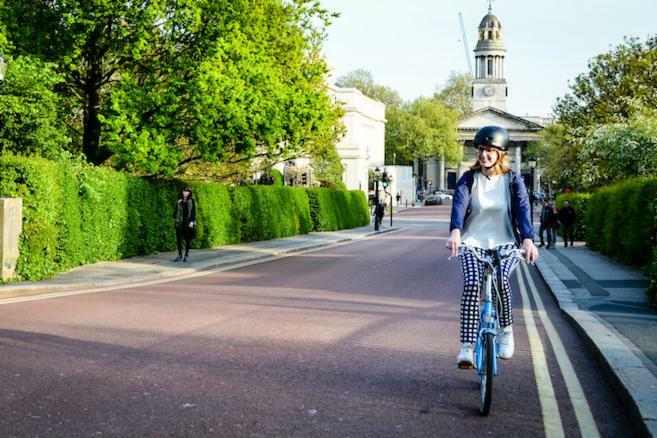 What do you like most about cycling in London? In general, I like the friendly vibe among London cyclists. One day I was waiting at a traffic light and the man behind me offered to help out as he noticed my tyre was a bit flat. As we were standing on the side of the road fixing my tyre, two other cyclists asked if we were okay – so nice. I also lost count of the funny conversations I had with other cyclists while waiting for a green light. A bright blue Raleigh Solitaire – not ideal for longer journeys but I love it. What helped you to cycle in London? The fact that you at least have the idea you are contributing to a greener city, while saving money and getting some exercise. What has helped you get more out of riding a bike? I once attended a meeting from the Camden Cycling Campaign, which was interesting and insightful as it was a platform for sharing ideas to improve the cycling landscape in London.